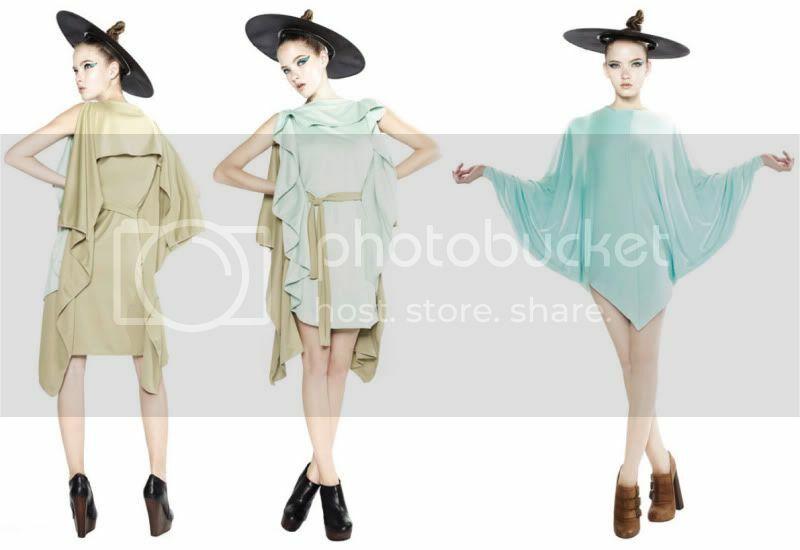 Following their well received debut collection, young&restless is back with their Spring/Summer 2011 collection featuring beautifully draped pieces (I like!) formed out of basic shapes like squares, circles and triangles. Love the refreshing choice of colour palette including aquamarine, turquoise and teal green as well. young&restless will be available at Hide & Seek, M Culture (@The Heeren), Blackmarket No.2 (@Orchard Central) & Egg3 (@The Cathay) from mid-February onwards. love the colors and the flow :P What are you up to recently? Miss you lots!